MILLIONS of pounds in potential savings to the Northern Ireland taxpayer are being lost every year because government departments are failing to effectively manage public buildings, a new Audit Office report has found. Northern Ireland Auditor General Kieran Donnelly carried out a review of how public bodies make the best use of their properties. The majority of public building in Northern Ireland are managed by the Properties Division, which is a special unit set up by the Department of Finance and Personnel who have overall control of how public money is spent. The Properties Division manages more than half of the office space used by government and non-departmental public bodies, owning or leasing 155 properties across Northern Ireland to cater for 18,750 staff. In 2010-11 it spent more than £73m managing these properties. However the Auditor General has raised concerns over departments’ lack of proper scrutiny of the millions of pounds being spent on office space. Mr Donnelly said that until recently it had been impossible to assess the cost of maintaining government buildings as departments had failed to keep basic information. The report found that public bodies in Northern Ireland lag behind counterparts in England and Wales in the effective use of office space because management arrangements are “highly fragmented” with organisations working independently and use different systems, making it difficult to identify the necessary information regarding the size, value, and running costs of public buildings. •	More than half of public agencies have unused or under-utilised offices with some departments having no idea how much it costs to run their own buildings. •	Less than one in 10 public bodies have a comprehensive property asset strategy in place. •	Confusion within organisations as to who is responsible for managing properties. •	Little evidence that civil service departments challenge the notional cost of properties. •	Most public bodies have “limited or non-existent” performance targets for managing property. The annual cost of managing properties belonging to the 11 departments in the Stormont Assembly during 2011 was £116m. However this figure accounts for only the core cost of each department and does not include the costs of managing arms length bodies such as those in the wider health and education sectors – which is understood to be four times larger. Auditors found that a new accounting system being used by Stormont departments does not have the proper computer software to allow for the proper management of public buildings. While the computer programme anomaly was identified as far back as 1999 it has still to be resolved. Managing public agency office space in Northern Ireland is second only in cost to that of staff wages. The average work space given to public service employees in Northern Ireland is 50% higher than their English counterparts. However auditors found that few departments appear to be setting targets for the best use of office space, which would help inform senior management as to whether or not offices are being run efficiently. In Britain public bodies have saved more than £812m on property management since 2004. However auditors found that while the Properties Division collects significant data in relation to the management of its office spaces, this information is not then used by government departments to set key performance targets. Auditors found that £17m could be potentially saved over the next five years if departments made better use of their properties and work space. The audit report states that DFP disagrees with the Audit Office’s analysis. It estimates that a further £12.9m could be saved if departments reduced the number of buildings it currently leases and relocated staff to existing buildings which are currently being underused. “We consider that further significant cost reductions are achievable across the whole of the office estate,” it said. The Properties Division unit spends £20m each year managing 58 offices in Belfast city centre for public agencies. One of those buildings, owned by the Properties’ Division parent body (Department for Finance and Personnel) is Northland House on the edge of north Belfast. In June 2009 it was identified as being surplus to requirements. NI Water (formerly Water Service) had been a tenant in Northland House for over 20 years. When NI Water was established in April 2007, it entered into a five year lease with Properties Division that included a break-clause in the third year. In June 2009 NI Water informed Properties Division that it intended exercising the lease break at the end of March 2010 – later requesting a six month extension to November 2010. In April 2010, the Department for Social Development (DSD) expressed an interest and agreed to pay on-going costs for the “mothballed” building once NI Water vacated the building. However in January 2011 DSD told Properties Division that it was unlikely it would have funding to convert the building. 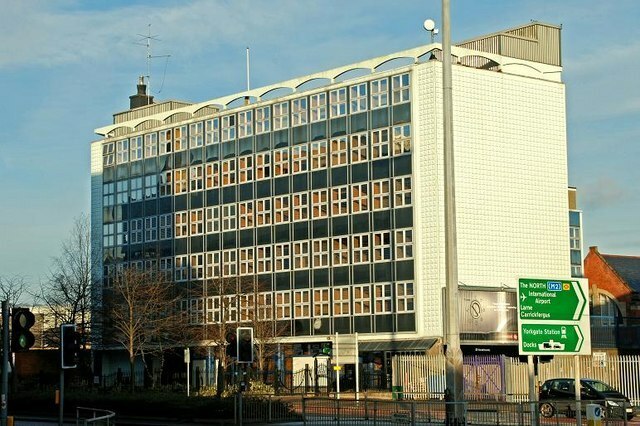 Properties Division estimated it would cost £6m to bring Northland House up to standard. To date £141,000 has been spent maintaining the building, at a cost of £6,000 per month. In another case DSD’s Child Maintenance and Enforcement Division (formerly Northern Ireland Child Support Agency) signed a nine year lease for office accommodation at Oyster House in Belfast city centre in 2007 at a cost of £1.8m. The lease included an “alienation” clause which prevented CMED from subletting the offices to anyone other than another public body. Under the terms of the deal CMED agreed to pay a further £883,000 for the building to be refurbished. However only three years later CMED’s staff was relocated from Oyster House to other buildings. No alternative public agency tenants were found to take over the Oyster House lease. As a result the building lay vacant for almost two years incurring total property costs in excess of £550,000. Auditors found that DSD will have to pay another £1m in rent until the lease runs out in 2015. Auditors said they found limited evidence of public bodies critically challenging the use of their own building with little or no effort made to investigate the potential for departments to share accommodation. Mr Donnelly said that while “significant progress” was now being made to collate basic information to assess how public bodies manage their properties but he said departments were “some way” from maximizing value for money.